Maison Boinaud is one of the oldest family of wine growners and Cognac distillers. It is at the origin of Cognac De Luze. Based in Jarnac, with its impressive château of the 19th century, Courvoisier offers exclusive and unique experiences. A de Fussigny is an upmarket artisanal cognac house situated in its own distillery founded in 1814 in the heart of the town of Cognac. 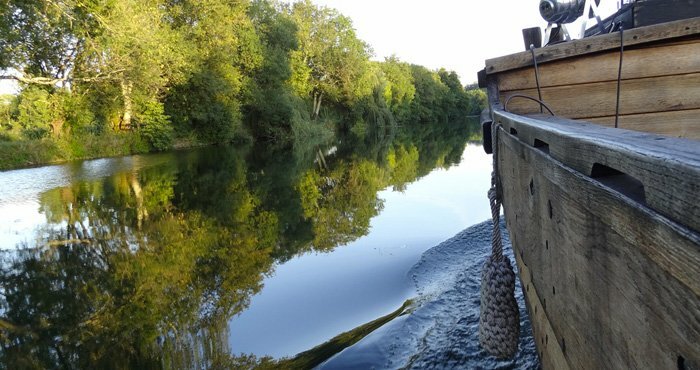 A cruise on the Charente River provides an unusual start to the new Hennessy tours at Cognac. Crossing the threshold of the Martell House, in Cognac, means entering into a unique story. Founded in 1862, the history and savoir-faire of the house of Meukow, in the heart of Cognac, is recounted through a modern and innovative scenography - A guided visit that offers initiation and tasting. For almost three centuries, Rémy Martin, a Living Heritage business, has been rooted in the soil of Cognac. Roullet Fransac, a cognac House reputed for its trading experience and traditional knowhow has updated itself. Founded in 1875, Maison Tiffon has kept its family character since its origins.